There is parent-child relation between Directories and their subfiles. A Directory may contain files and directories. A file is always leaf of the the tree. A directory may be a leaf if it&apos;s empty. 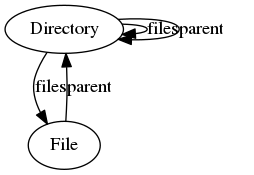 In our example we&apos;ll go from directories to the containing elements via the "files" edge/relation and from the files/directories to their parents via the "parent" edge. 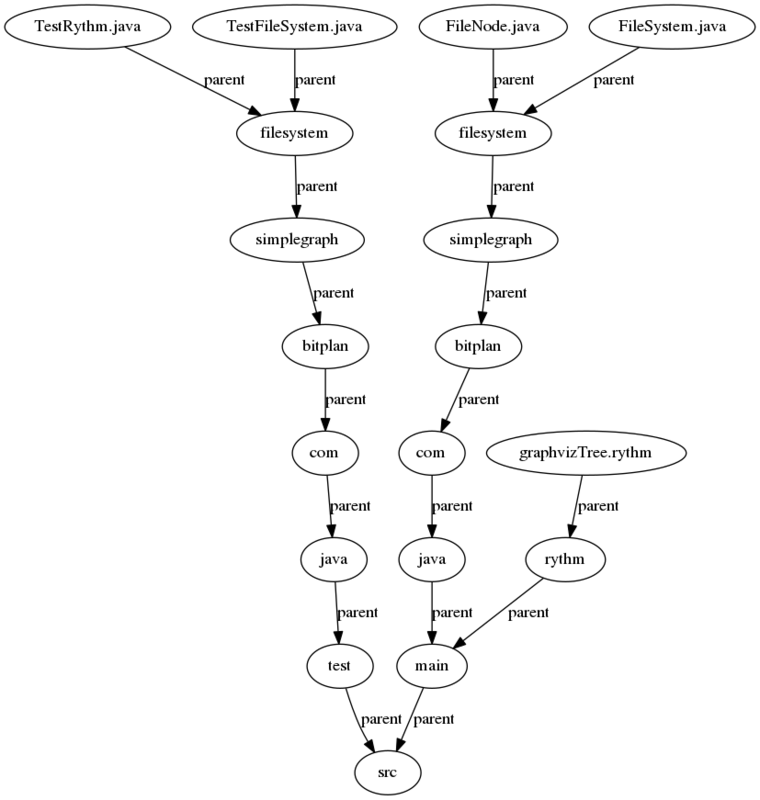 We&apos;d like to analyze some part of a filesystem and we&apos;ll use the "src" directory of the SimpleGraph project&apos;s source code as a starting point.